NEW YORK-OPOLY was created with the help of New York natives. While it’s impossible to include everything in this great city, NEW YORK-OPOLY hits the highlights. 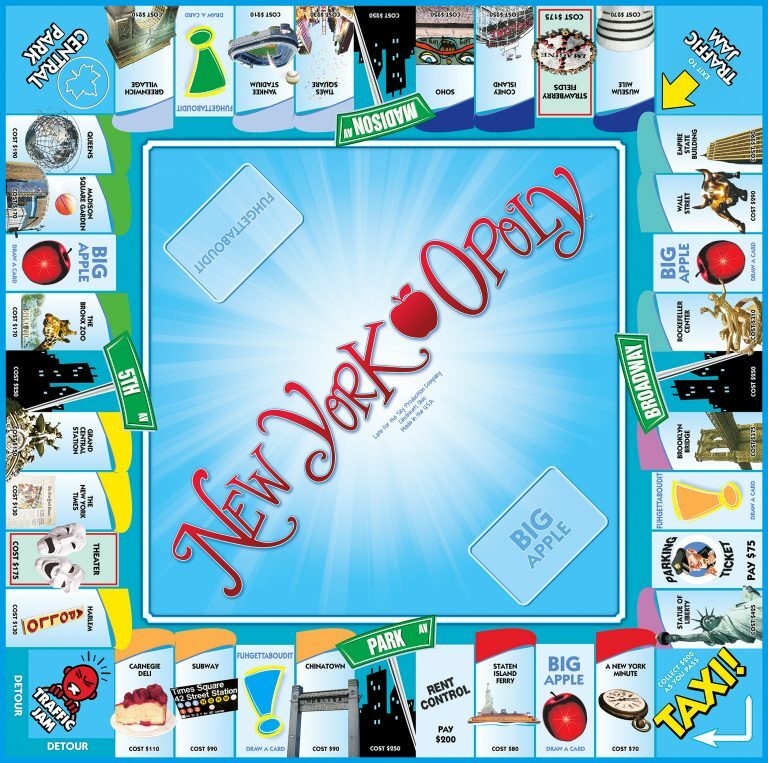 The game is full of the Big Apple, Yo!Yo!Yo!’s, carriage rides through Central Park…and if you think this game could be boring – FOGETTABOUDIT! This game is about New York City, the most exciting city in the world! Are you looking for a fun way to experience New York?